If you are fortunate enough to have found a mentor in any area of your life, then it is crucial that you recognize the value of that and that you cherish the relationship you have formed. This is especially true in business, where a mentor can help you to thrive and succeed far beyond what you would otherwise be capable of alone. If you don’t have a mentor? Then you should strongly consider making an effort to find one. In this post, you’ll learn just why a mentor is so important and valuable and how you can go about finding one and working with them. Let’s say that you’re interested in becoming a blogger. Being a blogger has surely got to be one of the most cushy jobs of all time. Get this right and you will get paid to write about topics that you find fascinating. You’ll need to write a post a day maximum and you’ll be able to take your time doing it. In short, it’s pretty ideal! But with a job this ideal, it’s of course true that you’re not going to be the only person gunning for it. This popularity means that it is incredibly hard to succeed as a blogger, if only because there are so many other blogs and it’s so hard to stand out. This is why the vast majority of new bloggers will fail. And it’s why the eventually successful ones will spend years spinning their wheels before they finally find the success they’re looking for. This is where a mentor can be invaluable. 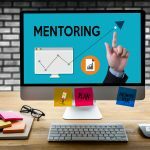 A mentor is someone who has previously been successful in becoming a blogger and thus they can tell you exactly where you need to be directing your time in order to be successful. For most of us, that means that you might learn the secrets to getting links on other blogs successfully. You might better be able to choose the right niche to begin with, or to design the right branding and logo in order to attract people to your site. You might be able to avoid serious mistakes that could otherwise kill your chances of success – such as investing in paid links, or keyword stuffing. The point is, that by knowing the keys to success, you can get there a lot faster and avoid the pitfalls along the way. This is just one example. The same goes for any other kind of home business – a direct sales business for instance or even manufacturing. Mentors don’t just give you a blueprint for success though, they can also offer value in other ways. For example, a mentor can help you by giving you motivation and inspiration to carry on. They can advise you on the best ways to keep your chin up when you’re feeling stressed and they can tell you about their failures when you’re feeling the heat. A mentor will also be someone you have to answer to. They can keep you on track and ensure that you aren’t skimping on your duties. Then there’s the relationship that you have with a mentor. A mentor is someone with similar interests and aims to you, only they’re a few years ahead. This can create an incredible bond and friendship and one that’s hard to find anywhere else. They will feel fulfilled and rewarded by having someone to share their hard-won knowledge with and you’ll have someone to talk to about things that no one else finds interesting! So how do you go about finding that mentor? One option is consider the people you already know. Might a friend or even a co-worker have experience that is relevant to you? Even if you don’t know someone well, there’s nothing to stop you from striking up a friendship. Don’t approach people and ask if they’ll be your mentor however – this is an odd behavior and one that won’t win you any friends! A mentor is an unspoken relationship, so instead just start asking for help and advice. If they’re willing, they’ll be forthcoming. Offer to buy them a coffee and they won’t feel like you’re taking advantage! Remember as well that you can find mentors online – they don’t all have to be in person. Try emailing people you’ve done business with or who you admire and the worst that can happen is that they don’t answer! Finally, don’t be afraid to pay for your mentor. This is essentially what a consultant does. If you are struggling with your home business and you don’t know who to ask, consider hiring a business consultant and pay for that knowledge. It’s invaluable! You Don’t Have to Wait Until You Retire – Start Living Life Right Now!